This is a model of a streamliner passenger car painted and lettered for the Denver & Rio Grande Western Railroad. The paint scheme and lettering are correct for Era III. The car has factory-installed complete interior details and interior lighting. It also has metal wheel sets, including 2 ball bearing wheel sets for current pickup. Length 76 cm / 29-15/16". 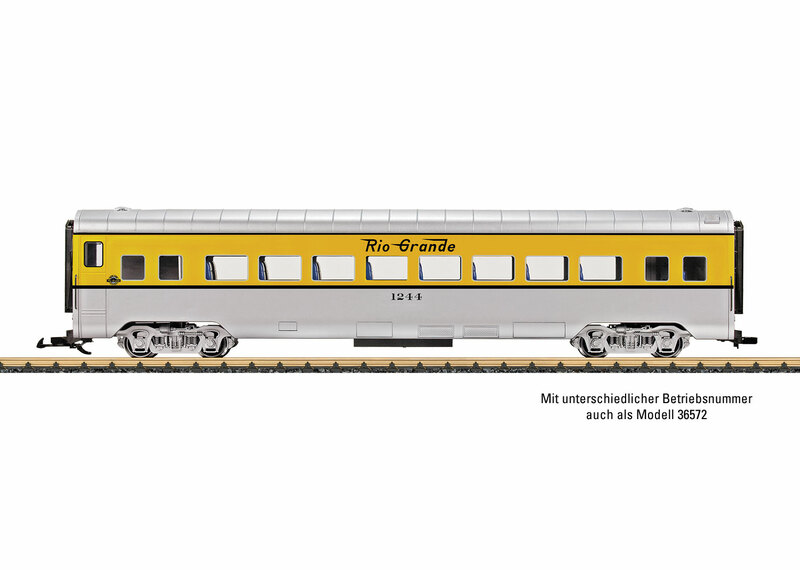 A typical long-distance train for the Denver & Rio Grande Western Railroad can be assembled using this car and the 20578, 20579, and 20588 F7 units as well as the other 36572, 36574, 36575, 36576, and 36577 cars.